Createspace Independent Publishing Platform, 9781500713775, 558pp. J. LYNN ELSE loves reading and writing about awesome women from antiquity. Besides history, she also gets nerdy with Star Wars, Star Trek, and MST3K. 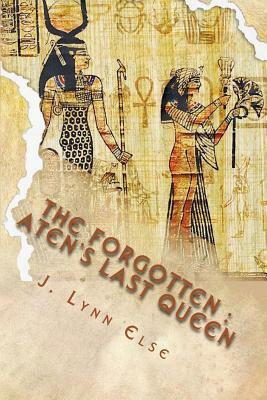 She's self-published two historical fiction novels set in ancient Egypt, "The Forgotten: Aten's Last Queen" and "The Forgotten: Heir of the Heretic." "Descendants of Avalon, Awakenings book 1," a YA Fantasy with interwoven elements of the legends and people of King Arthur's time, was released through Inklings Publishing in May 2018. Additionally, in July 2018, she self-published a sci fi novella, "Strangely Constructed Souls," which asks 'what the price of revenge and how far would you go to right a wrong?' J. Lynn's always had a flare for the dramatic, graduating college with a theater major and a dance minor. She lives in Minnesota with her husband and two kids where her shelves are overrun with books, her kitchen is overrun with loose-leaf tea, and her workroom is overrun with Funko Pop figures. She enjoys sketching, reliving her 1990s by watching the latest X-Files episodes, honing her Fruit Ninja skills, and randomly busting out into song and dance. She believes in unicorns and practicing random acts of awesome.